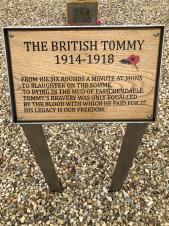 The Battle of the Somme was fought at such terrible cost that it has come to symbolise the tragic futility of the First World War. Its first day of conflict remains the bloodiest day in the history of the British Army and it was felt deeply at home, in particular in those towns and villages which had raised Pals battalions and suffered horrible losses. 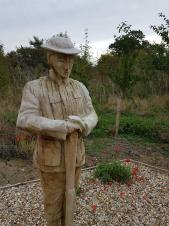 Two men from Crick lost their lives due to the battle. Its 100th anniversary provided an opportunity to commemorate the service and sacrifice of those who lost their lives in the battle, to reflect upon the human cost of conflict and to have hope for a more peaceful world. 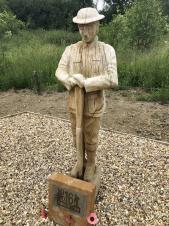 With the support of the Parish Council, Councillor Danny Tolfts arranged for the village to have a new memorial to commemorate the 100th Anniversary of the Somme. 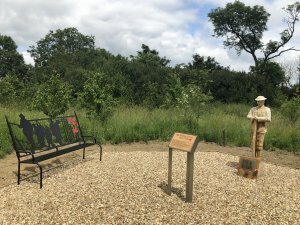 It is dedicated to all those who have sacrificed their lives in service of their country and is now complete, and stands in the area of public open space at the start of the all-weather track off the Yelvertoft Road. 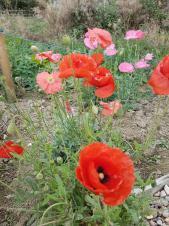 So please do go and visit and take a minute or two to enjoy the site and remember. 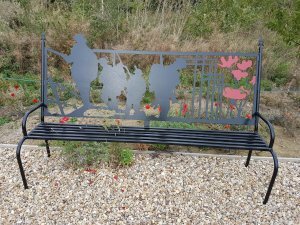 The new memorial bench has been installed as well as an information board, including poppy seeds sown with help from the local primary school children. 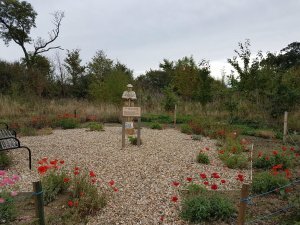 The Parish Council would like to take this opportunity to say thank you to all those who have generously donated money, as well as their time free of charge to this project. It has been greatly appreciated and without you, would not have been possible. 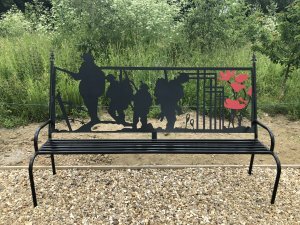 Special thanks goes to Donald Harding for creating the heritage board free of charge and to Cllr Danny Tolfts' Grandson for making the memorial bench as a gift to both Danny and the community. It is greatly appreciated. The attached document shows the donations received and the costs thus far for this project and will be updated regularly, until the project has been completed. In the meantime, please take a look at the photographs attached.